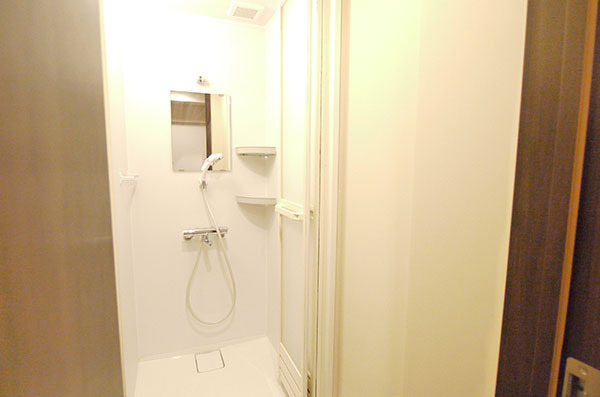 We have a private room with a shower.JR and Metro 2 access is available! 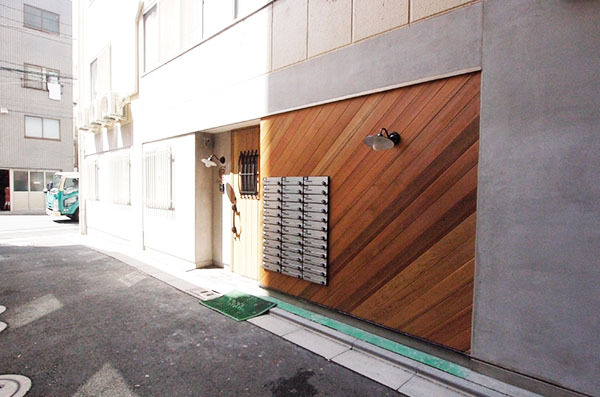 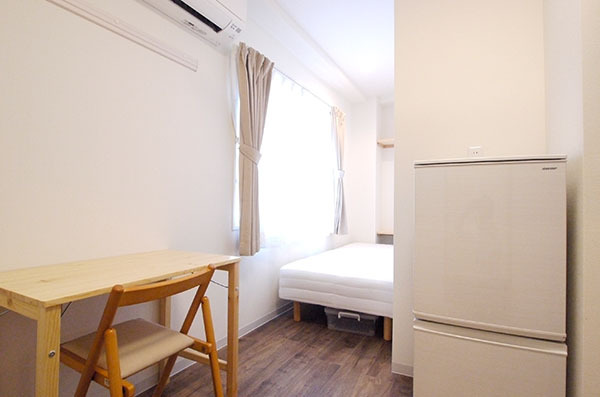 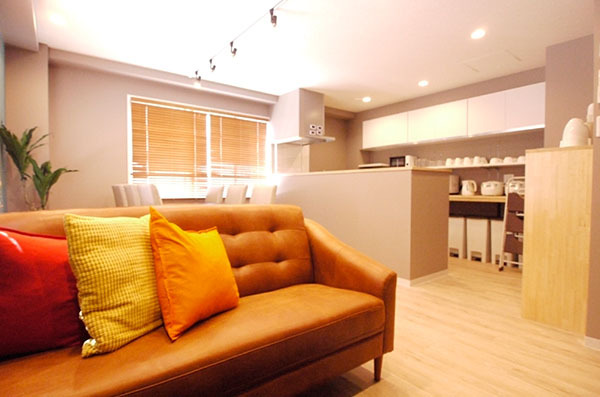 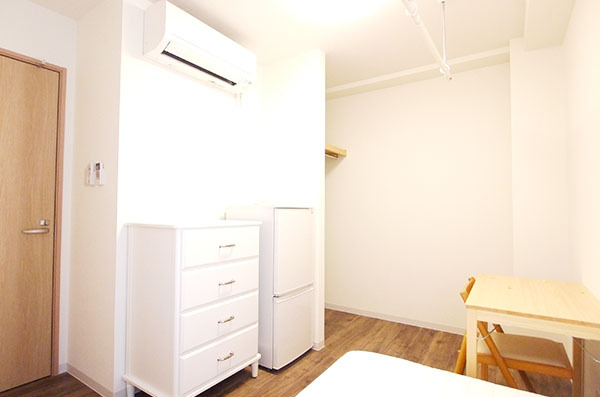 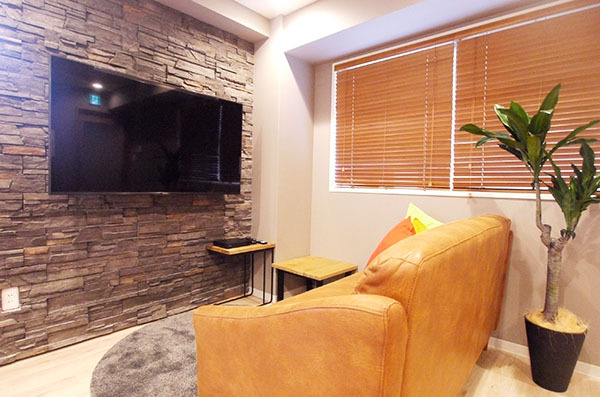 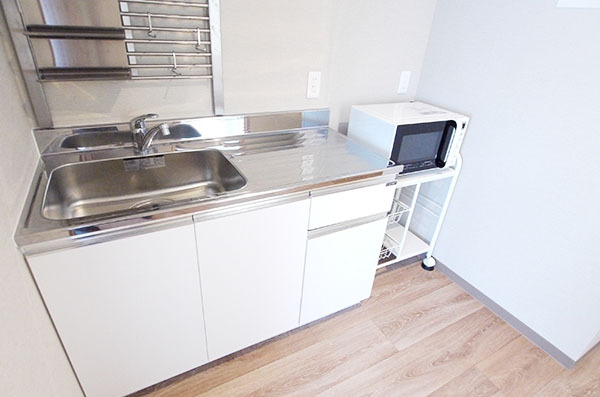 It is 7 minutes on foot from Kinshicho Station.JR and Metro 2 access is available! 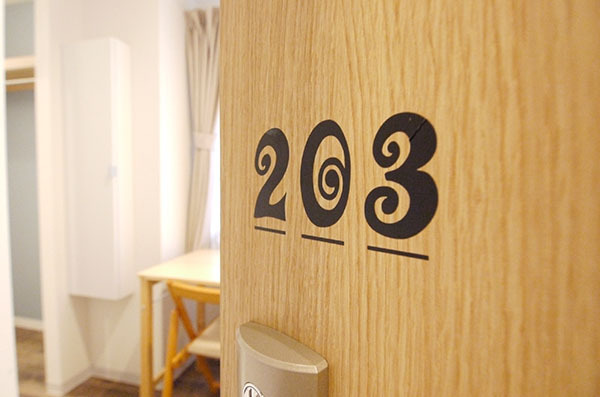 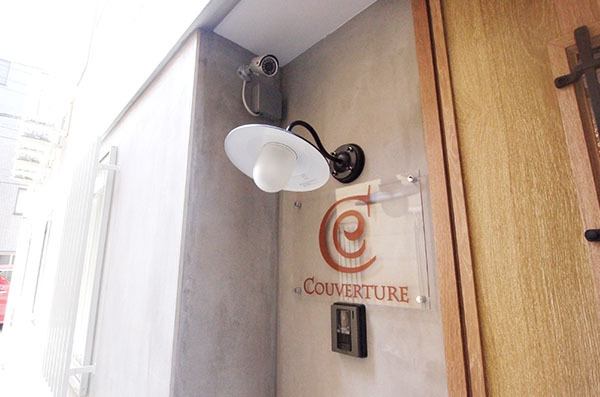 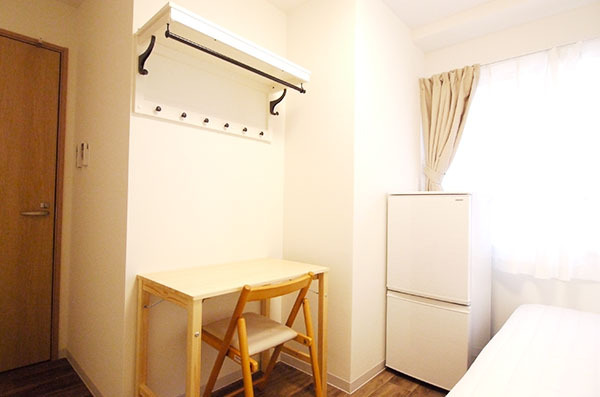 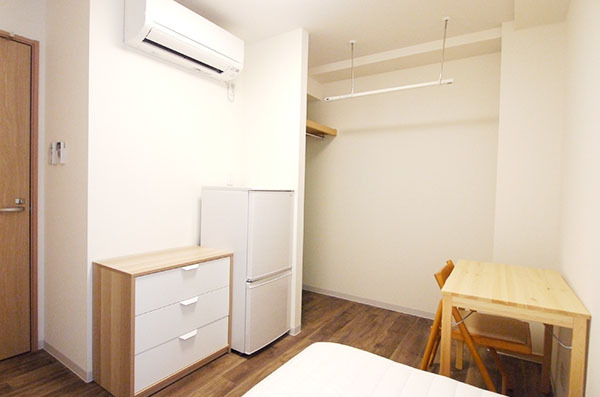 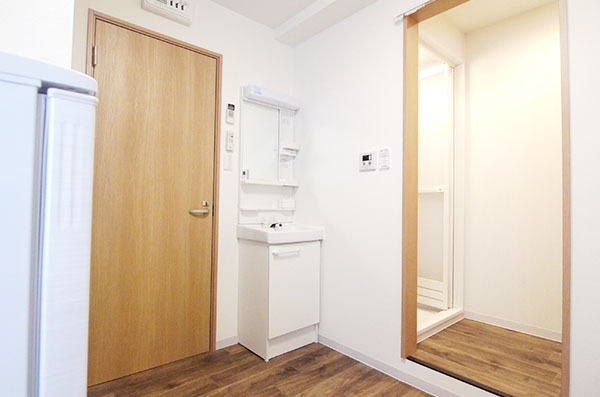 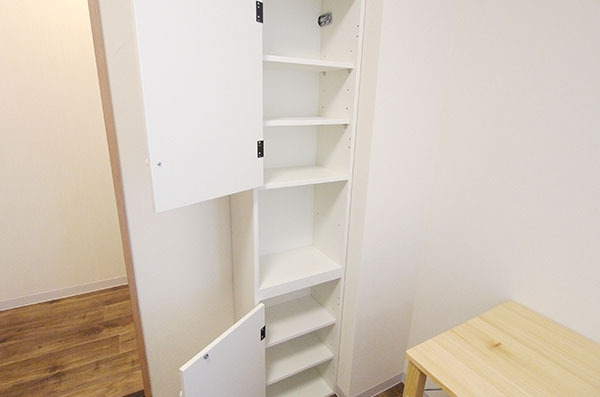 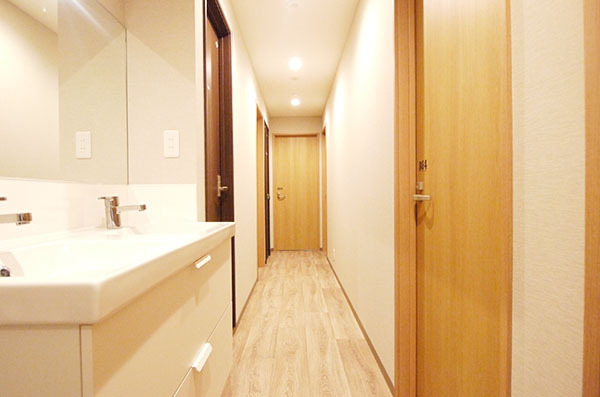 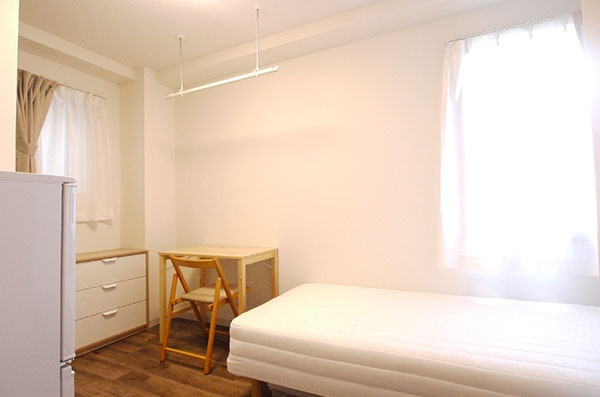 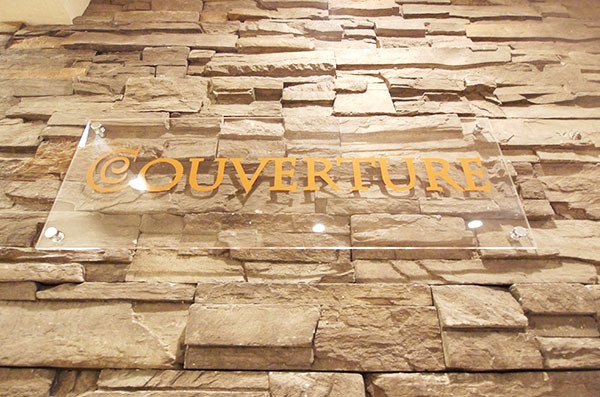 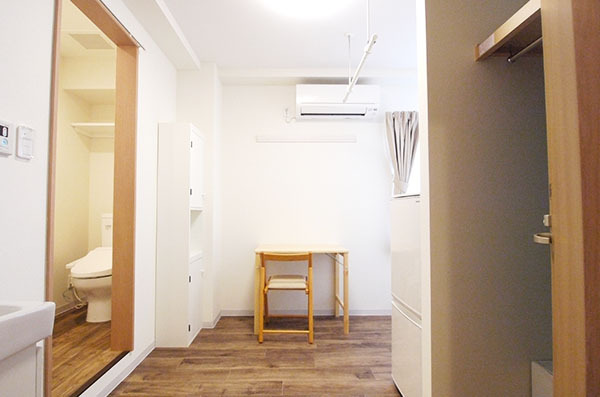 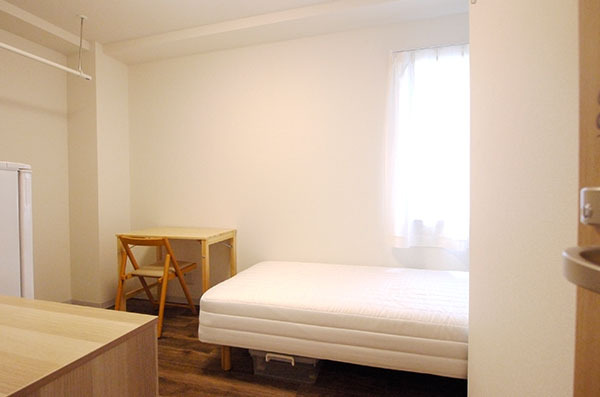 We opened Couverture KinshichoⅡ consisting of 34 rooms for both men and women at a location that is convenient for commuting to Akihabara in 6 minutes,Tokyo in 8 minutes, Ueno in 10 minutes and Asakusa in 6 minutes. 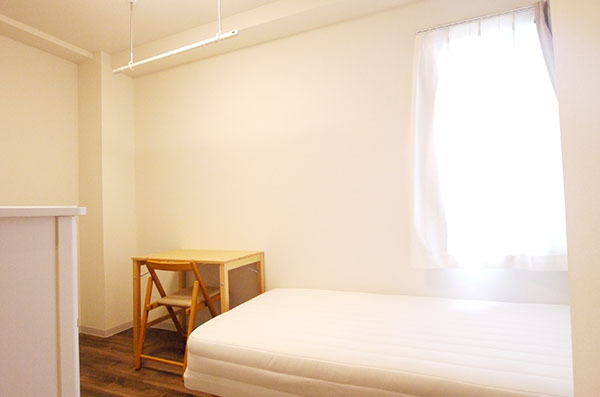 It's possible to relax at private space while enjoying a share life at the sharing room. 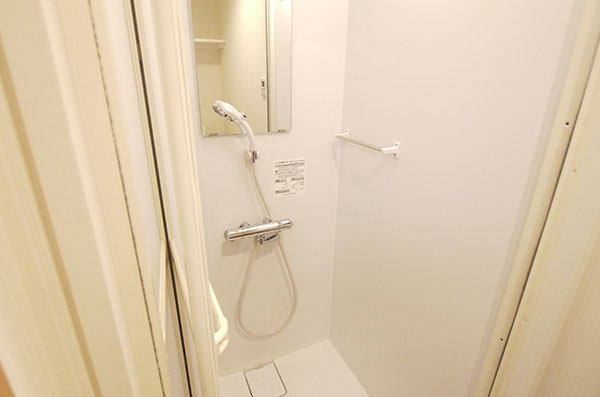 There are several private rooms with a shower, toilet and washbasin.That's a proud share house. 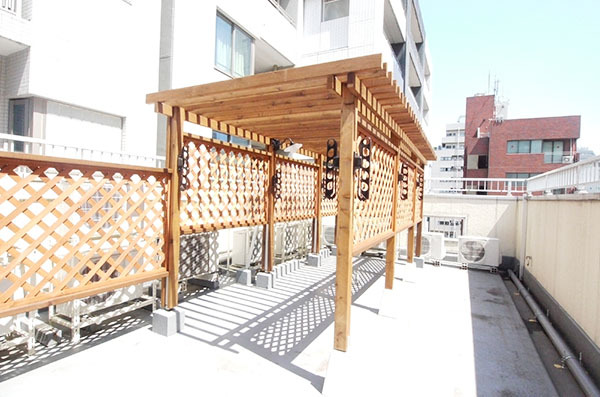 On a large roof where people who want to dry out delight,There is a place to hang the laundry and a deck terrace. 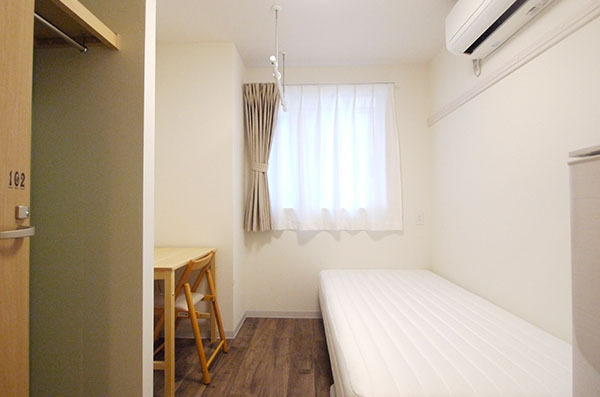 In Kinshicho station and the surroundings of the house,There are shops and popular facilities such as supermarkets, restaurants, large commercial buildings such as PARCO, Termina, Marui, hot spring spa, TSUTAYA, TOHO Cinemas etc. 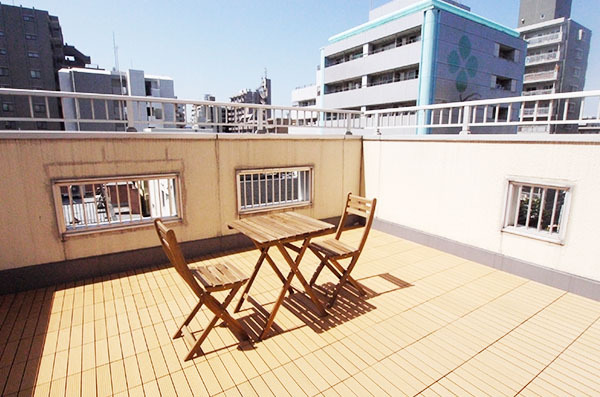 Cherry blossom view "Kinshi Park" is also recommended for spring walk. 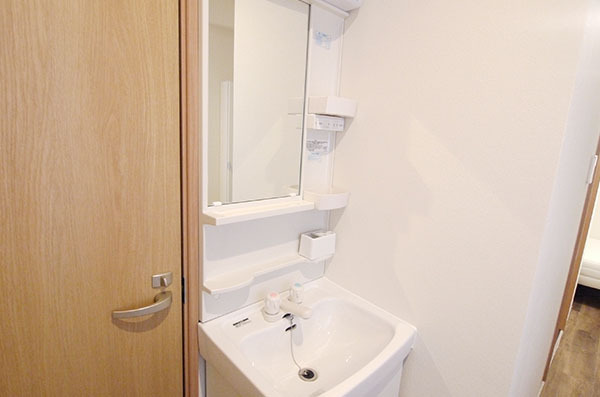 A bus for Haneda Airport and Tokyo Disney Resort is also coming out of Kinshicho Station. 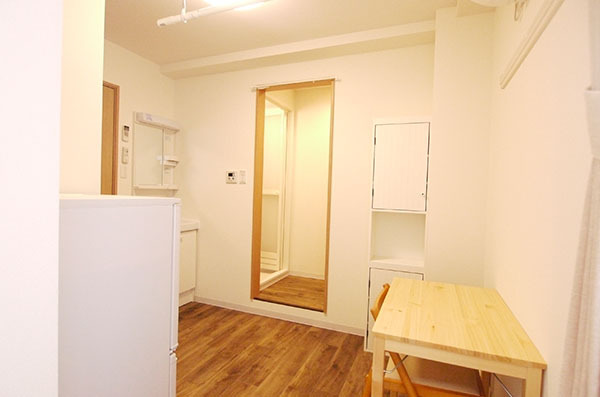 So you can enjoy Tokyo life full of work and private. 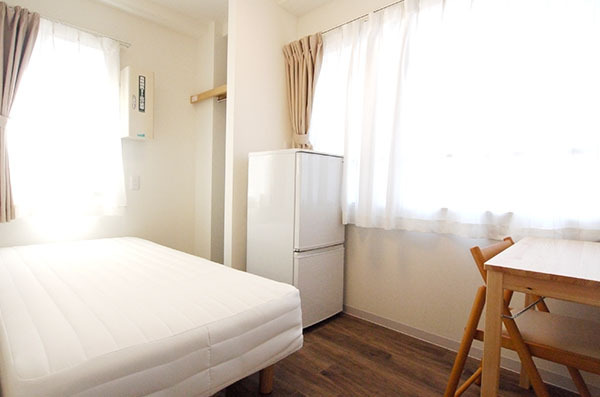 So, we also have TV (20 inches) and DVD rental 800 yen / month. 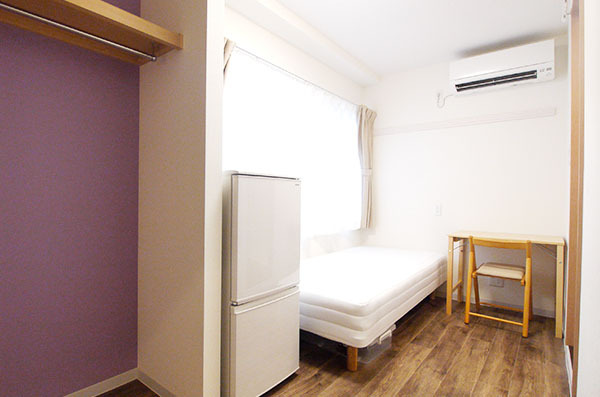 7 minutes by walk from Kinshicho station (JR・Soubu line). 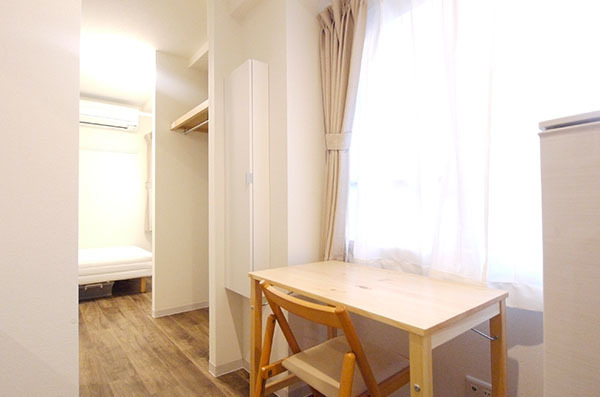 7 minites by walk from Kinshicho station (Tokyo metro Hanzomon line). 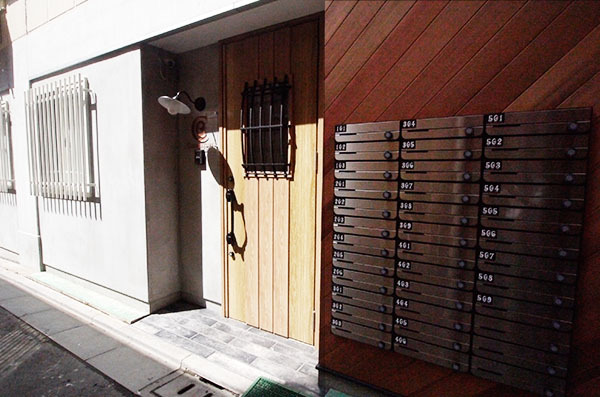 Several pharmacies are available around 10 minutes on foot. 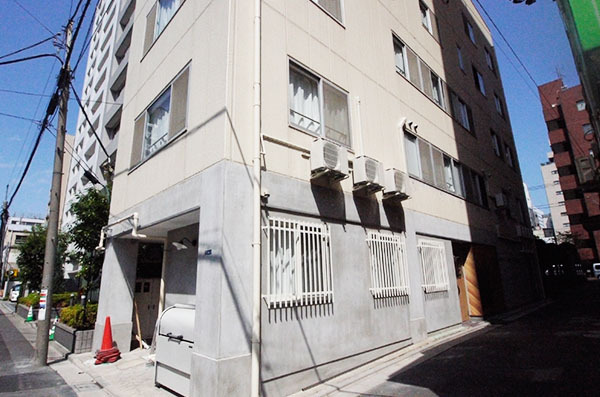 Couverture KinshichoⅡ The appearance of the building. 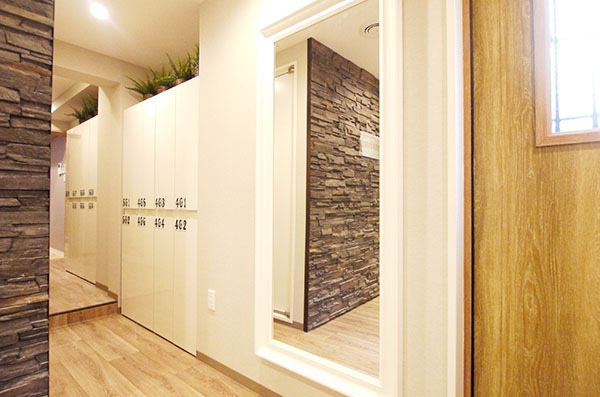 A large mirror at the entrance. 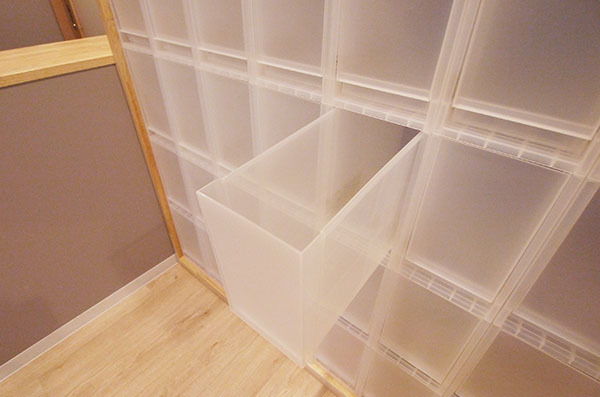 Umbrella stand and shoe box that can hold up to 7 feet. 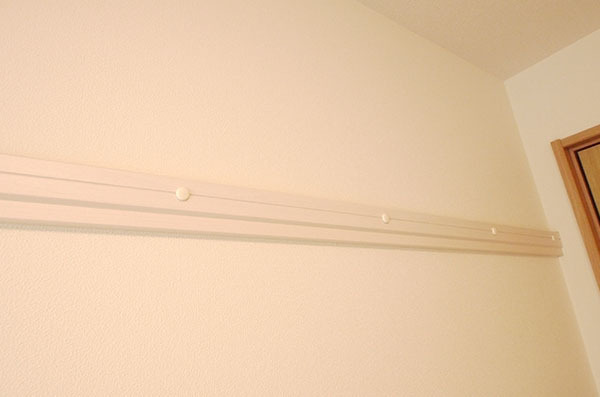 State of the corridor on the first floor. 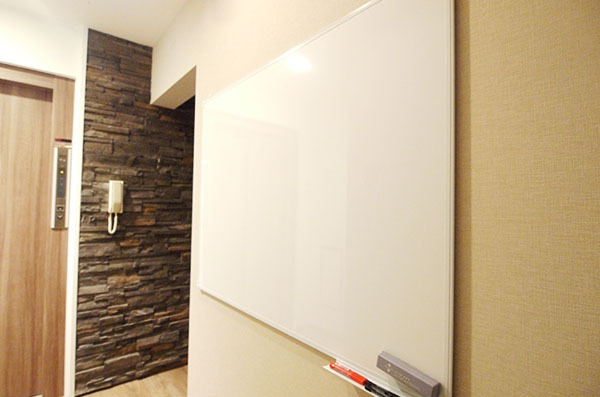 White board which can write contact matter. 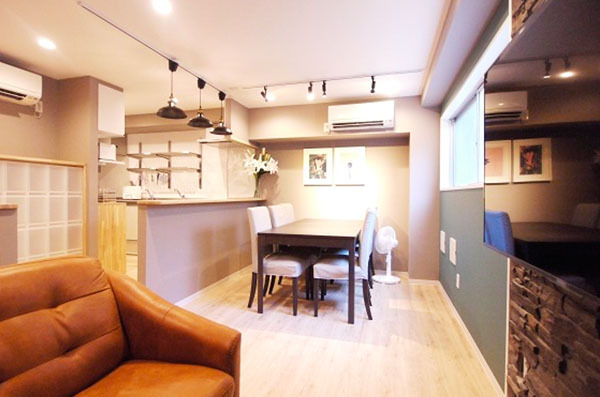 Living dining on the first floor. 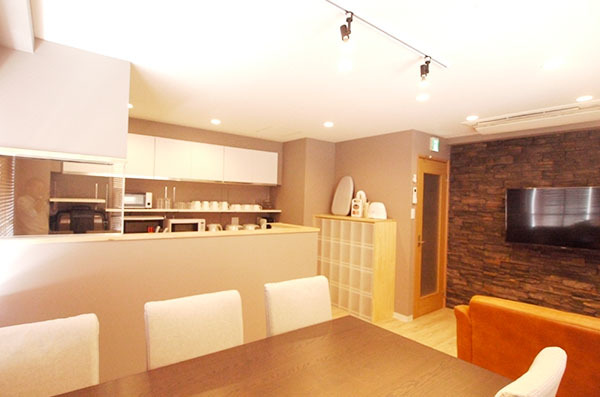 A view of the dining from the sofa. 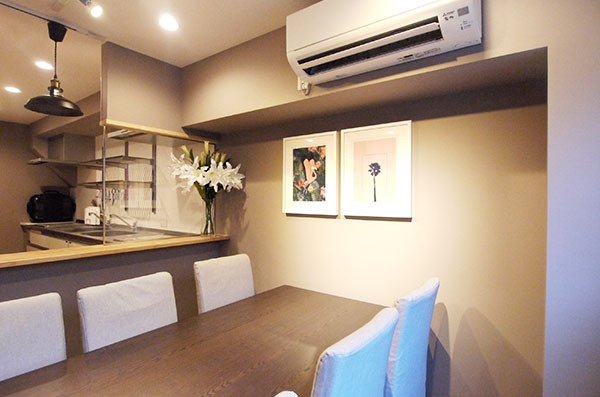 Dining at the first floor. 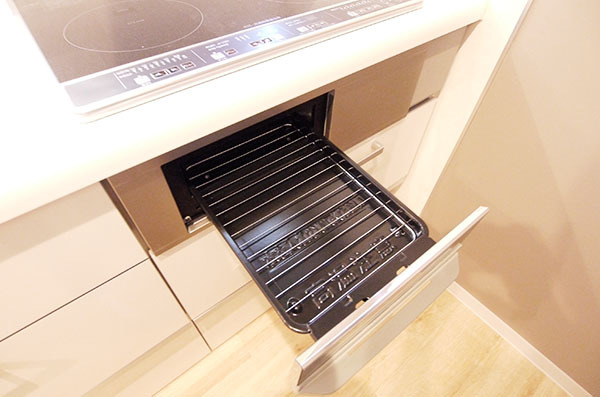 Portable electric grill as known as Hot plate. 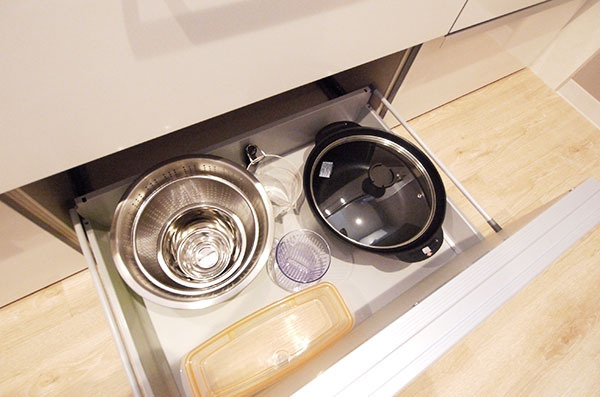 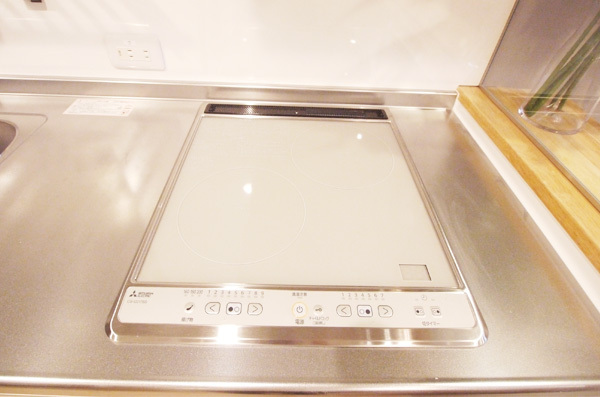 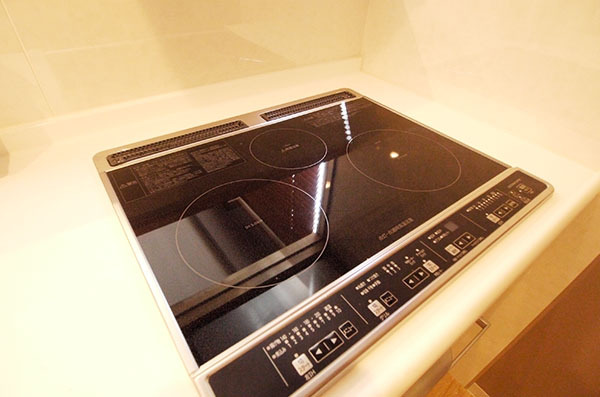 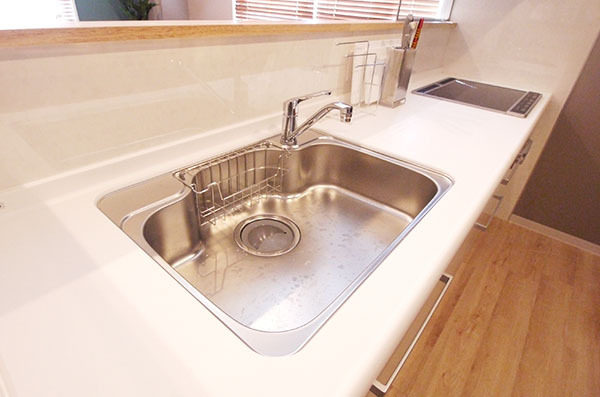 Convenient kitchen goods such as steam oven range and T-fal. 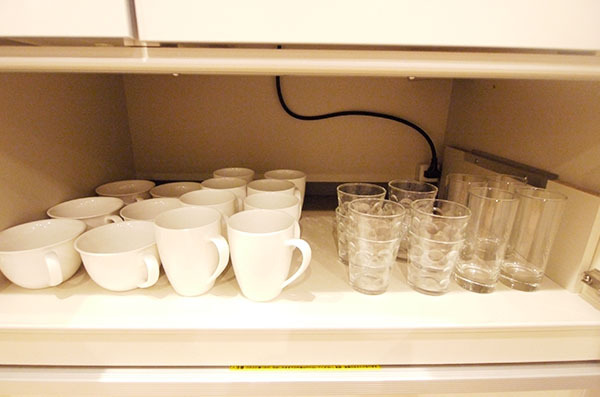 We also have all the dishes. 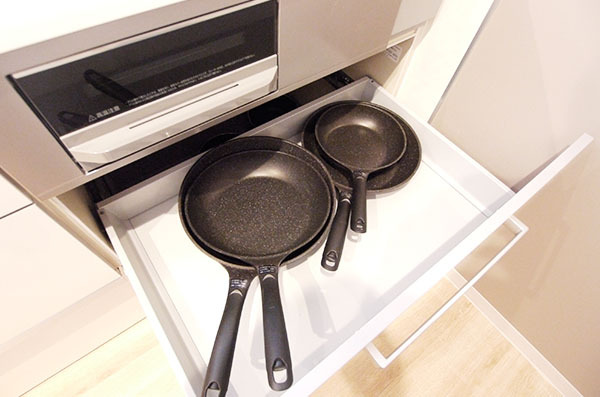 We also have pan and frying pan. 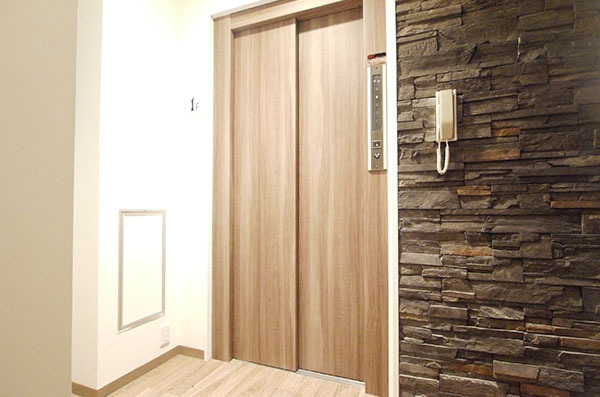 It will rise to the upper floor by elevator. 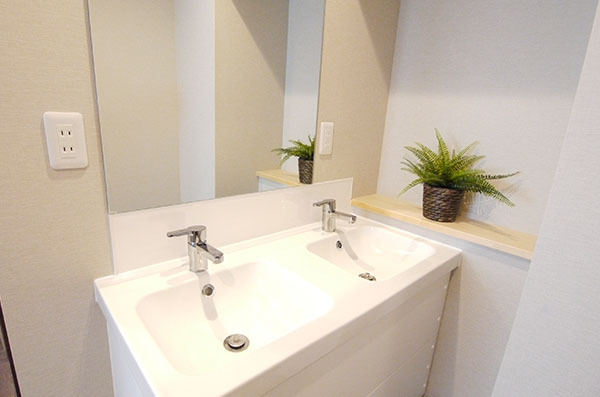 Wash basin of wide and easy to use shared. 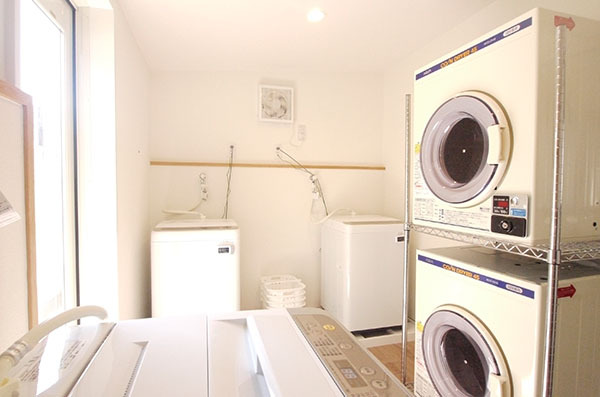 Free washing machine and paying dryer. 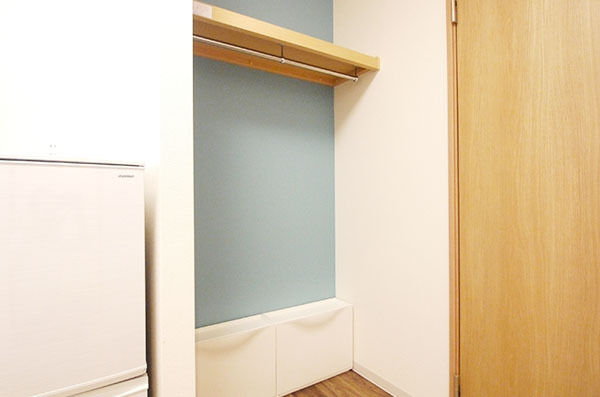 There is also an ironing board and an iron. 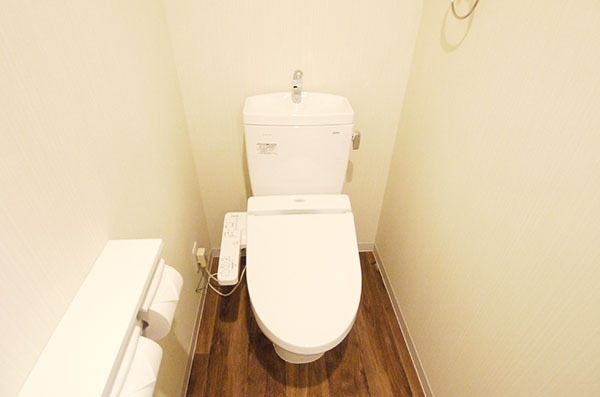 Share toilet. 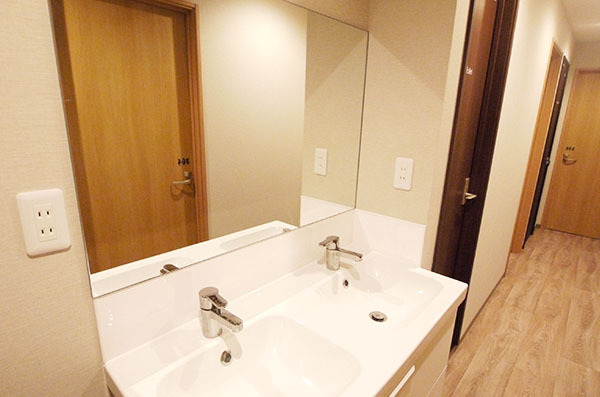 Washlet is equipped. 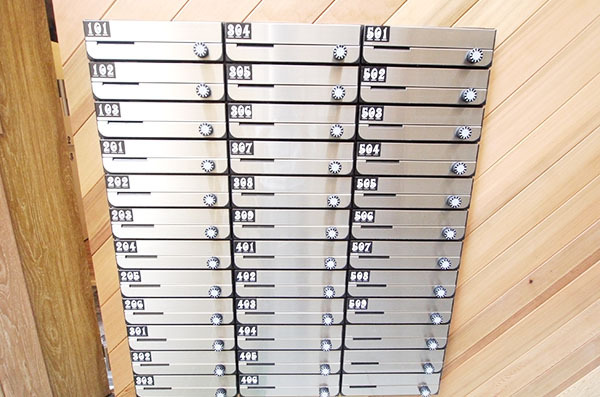 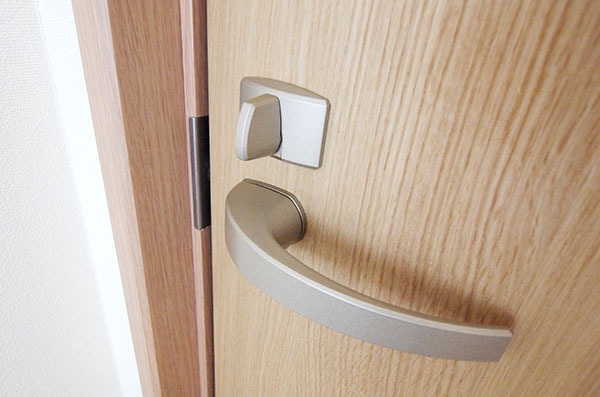 Of course the lock will be applied from the inside. 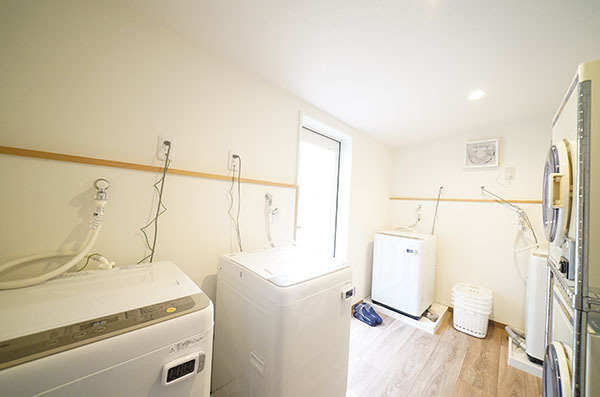 24 hour laundry room available. 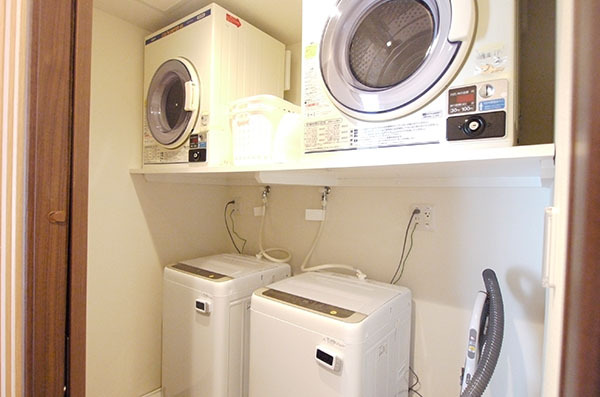 Dryer costs 100 yen for 30 minutes. 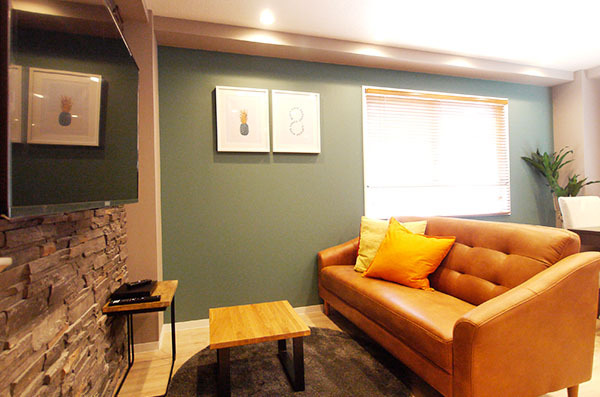 Living room on the fourth floor. 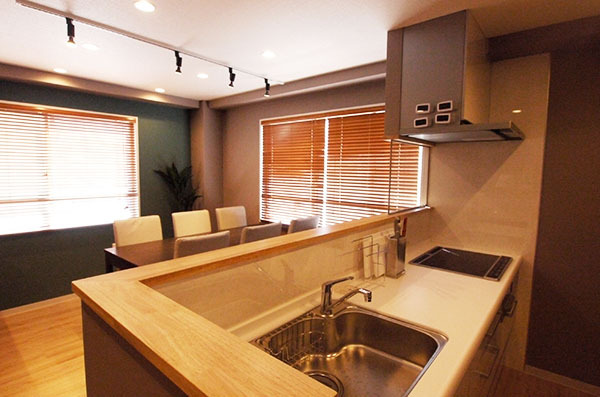 4th floor living and dining. 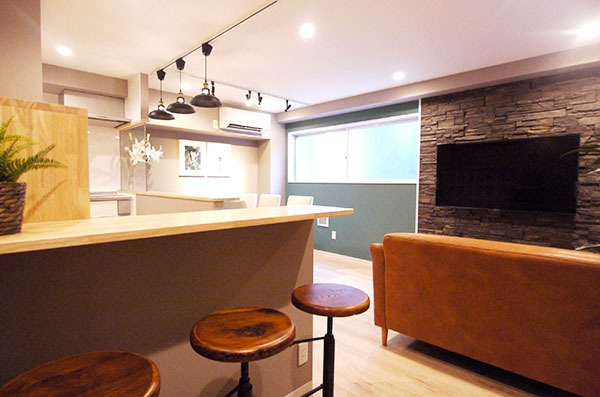 View of the kitchen from the sofa. 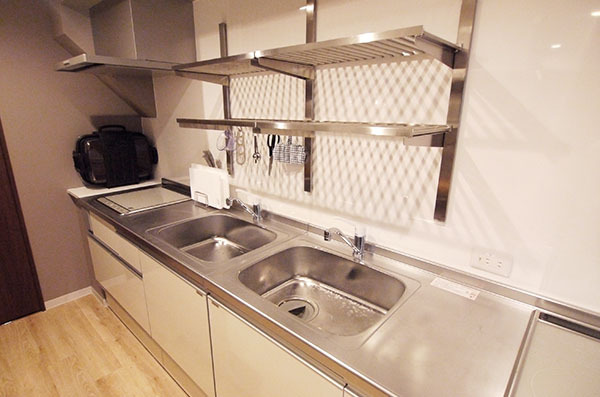 Kitchen with bright light from the window. 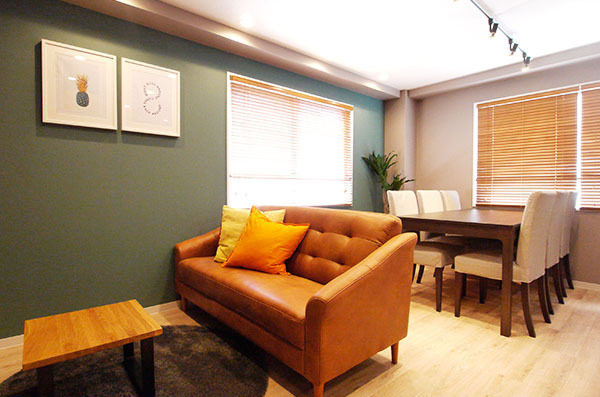 Living dining and big TV. 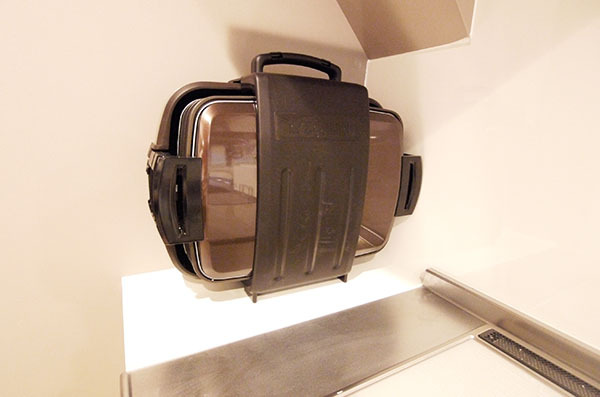 Elctric grill for on the 4th floor kitchen. 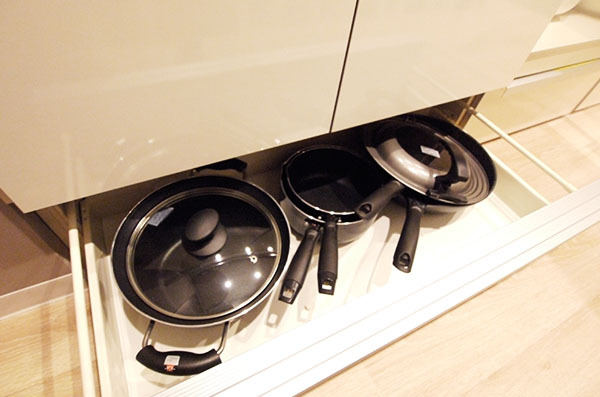 Required cooking utensils are standard equipped. 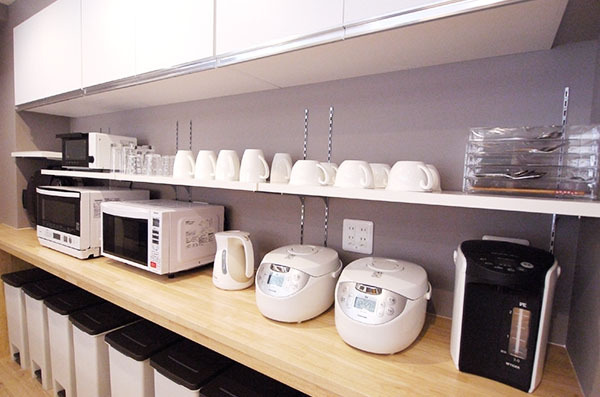 Kitchen accessories and pots are also available. 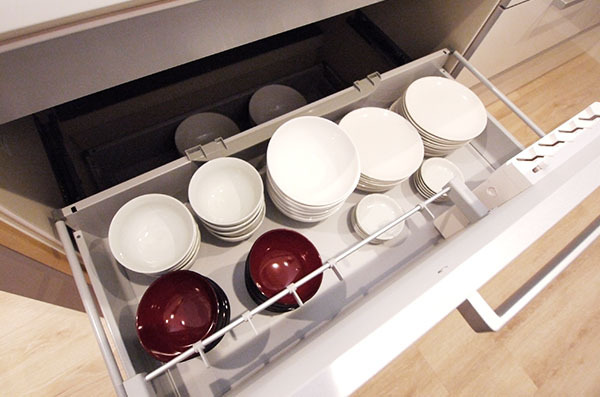 We have plenty of dishes. 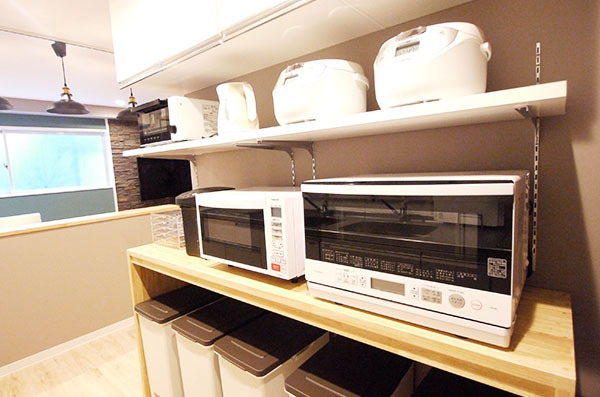 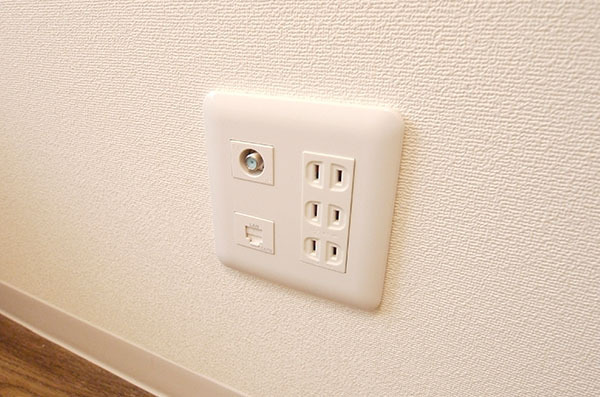 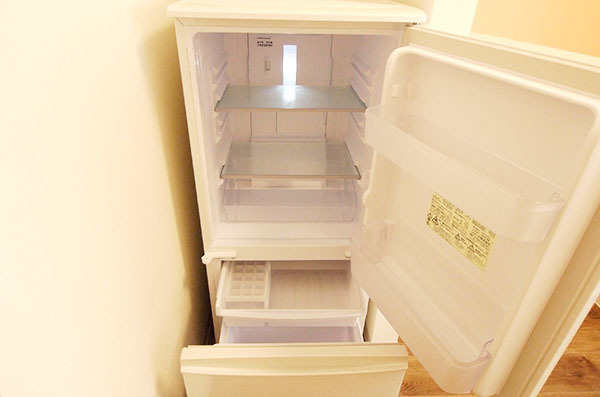 Electric appliances are easy to use. 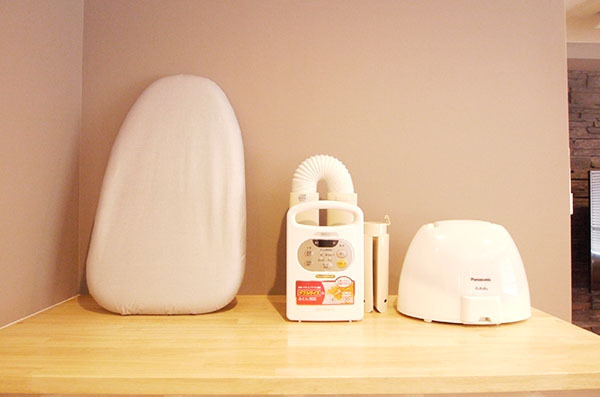 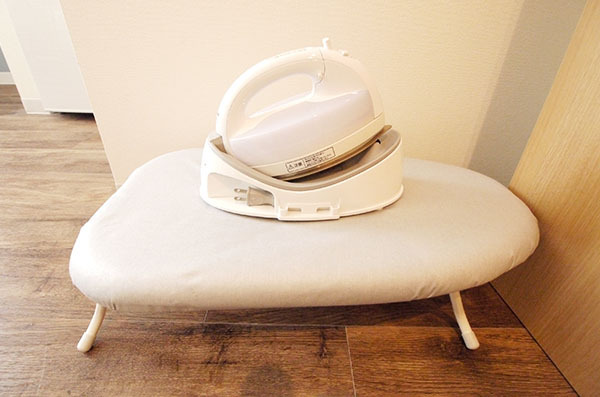 Futon dryer and cordless iron. 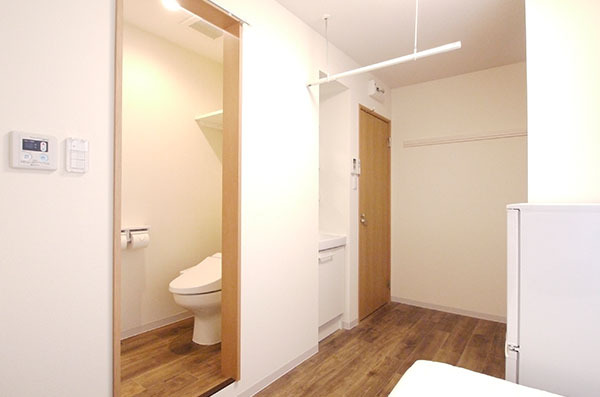 Secure private space with locked private room. 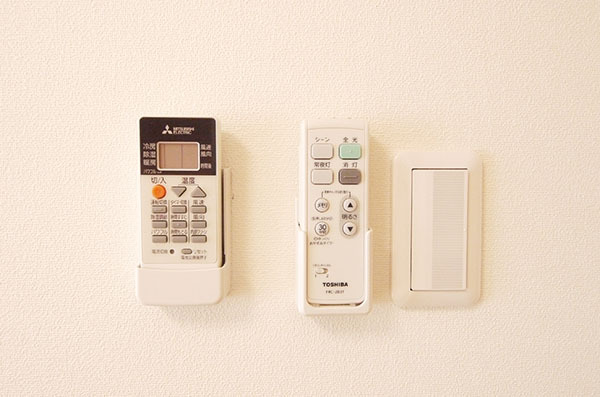 Lighting is also convenient with remote control. 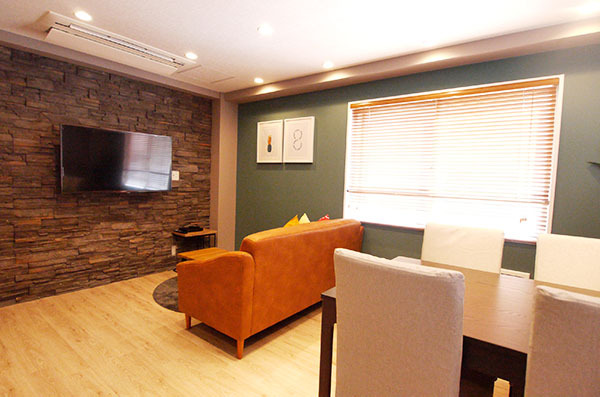 Each room has LAN and TV terminals. 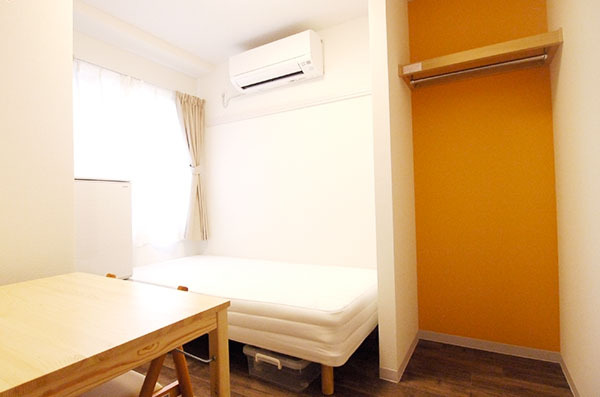 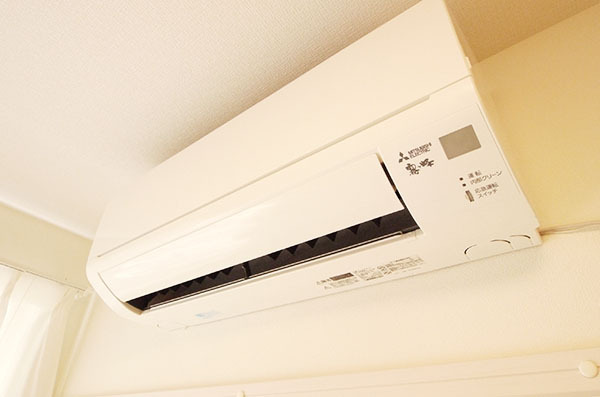 All private rooms equipped with air conditioner. 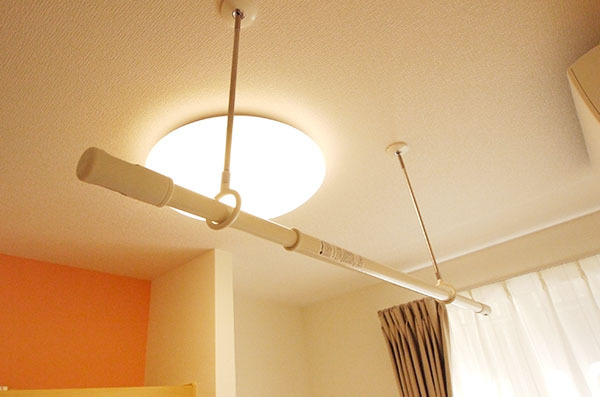 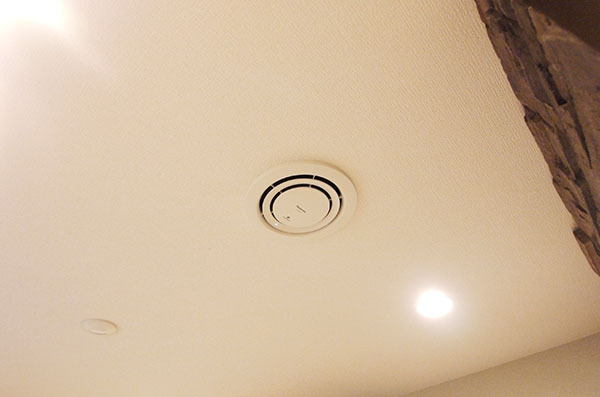 All rooms are equipped with hanger pipe. 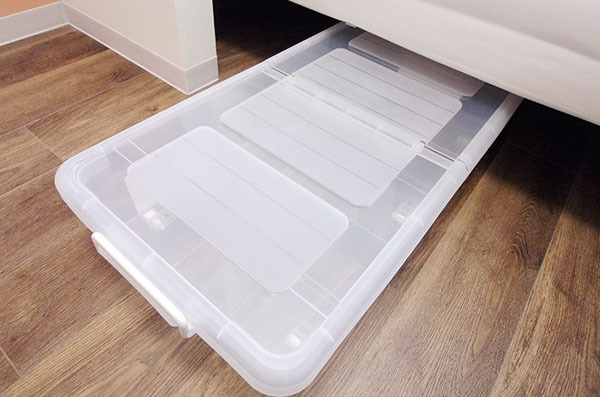 We prepared a storage case under the bed. 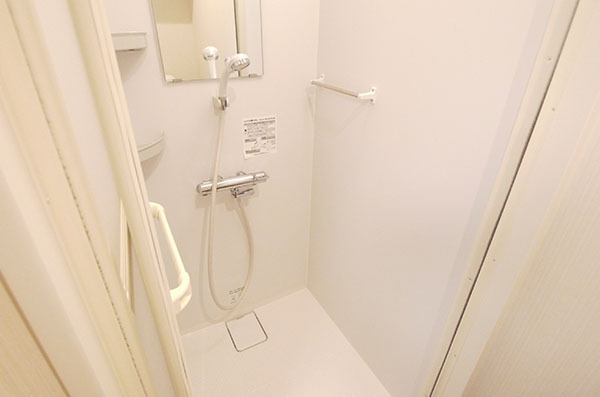 Shower room in Room # 203. 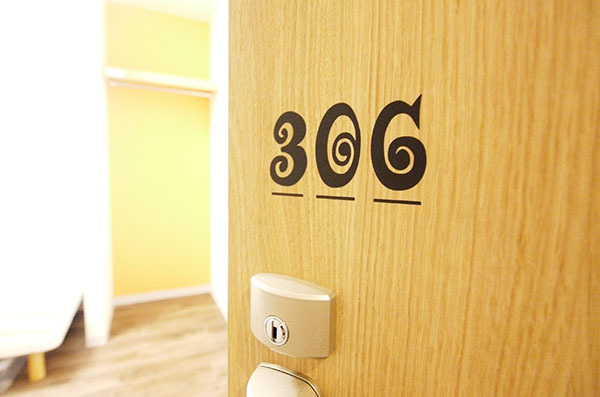 Room No. 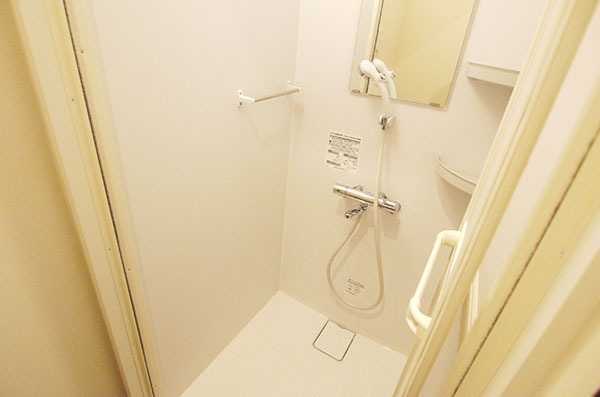 204 has a shower room, wash basin, toilet. 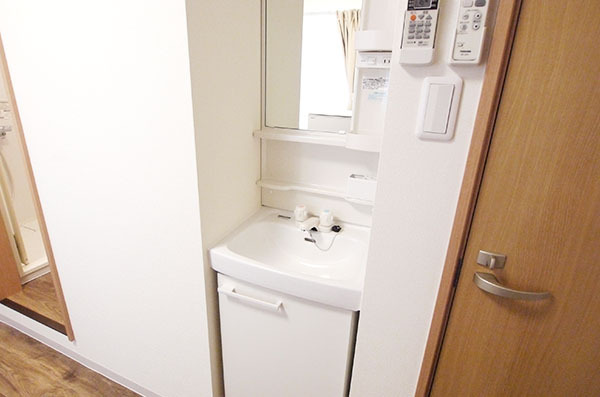 Wash basin in Room # 204. 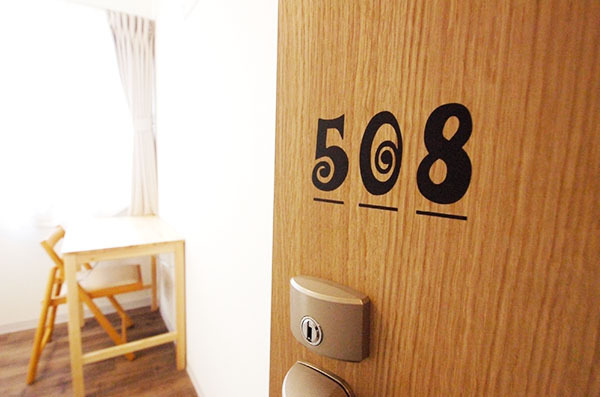 Room No. 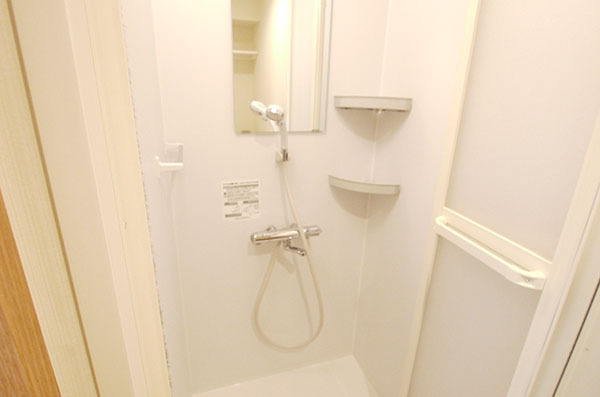 205 has a shower room, wash basin, toilet. 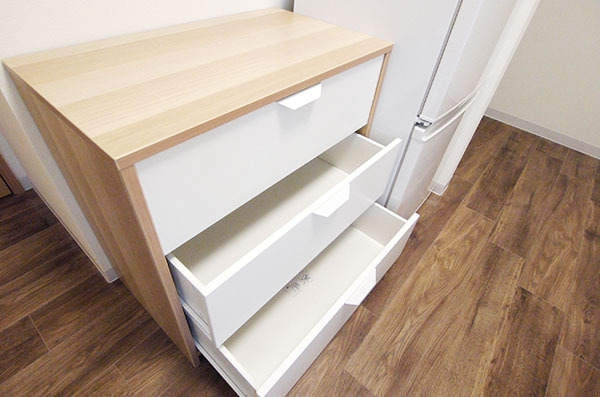 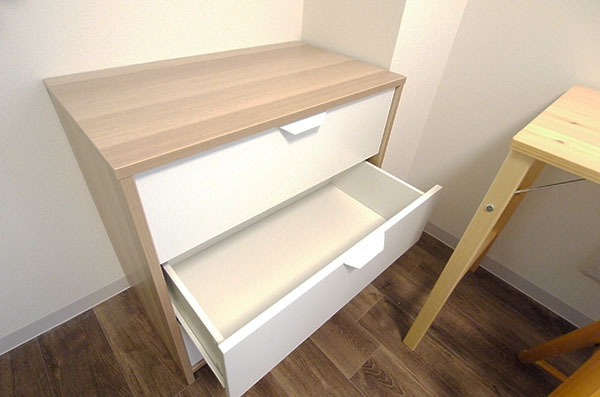 Desk and chairs can be folded and stored. 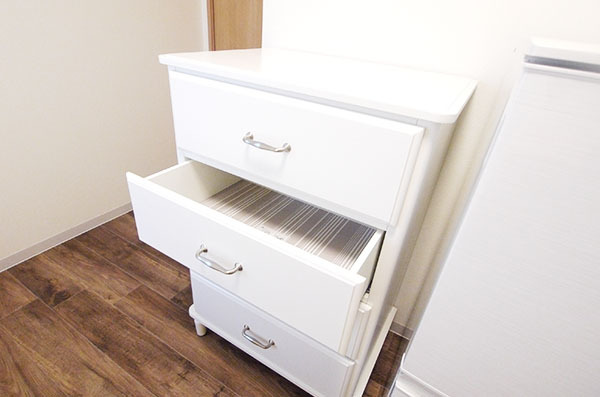 Convenient storage box at room 205. 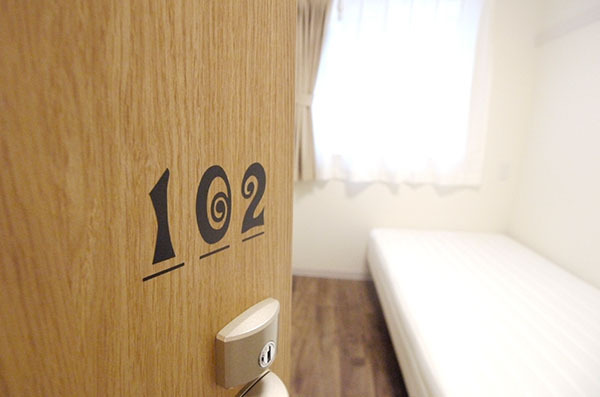 Room No. 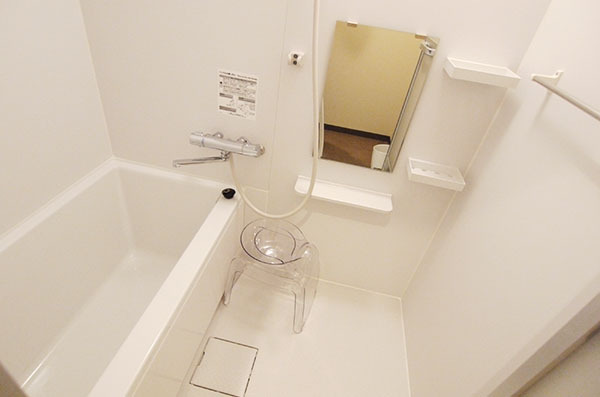 205 has a shower room, wash basin. 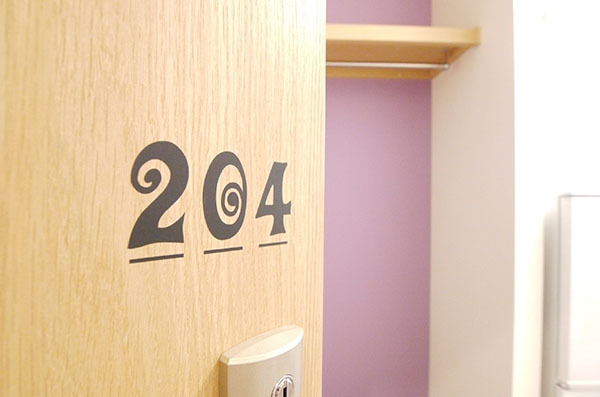 Room No. 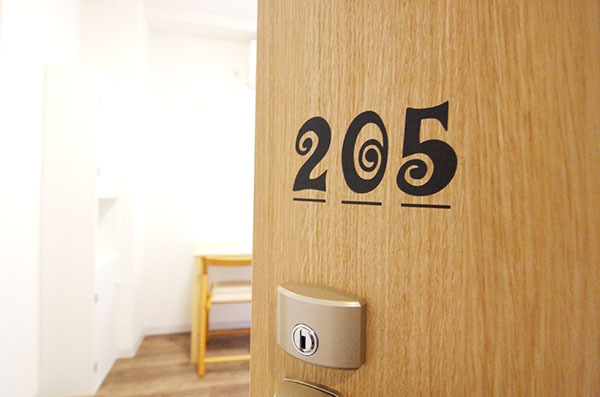 205 has a shower room. 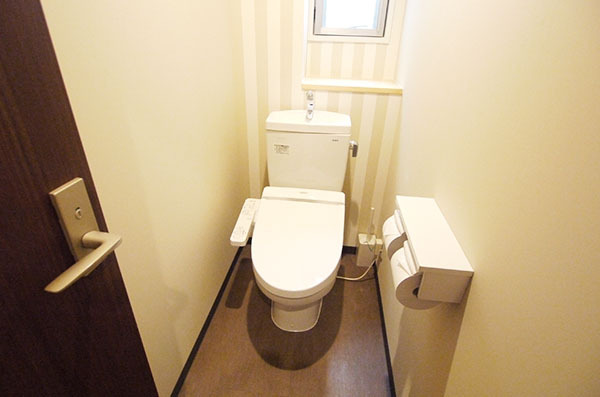 Washlet toilet at Room # 205. 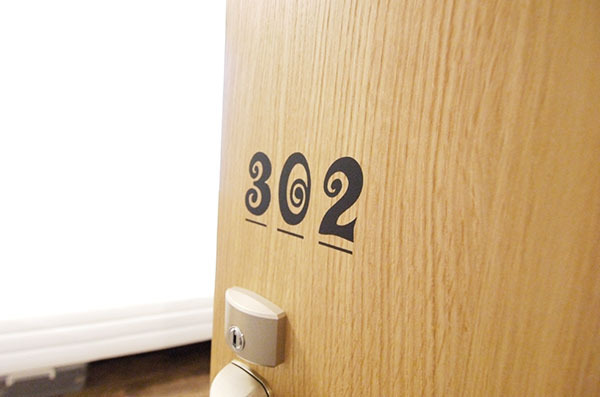 Convenient withdrawal storage of Room 302. 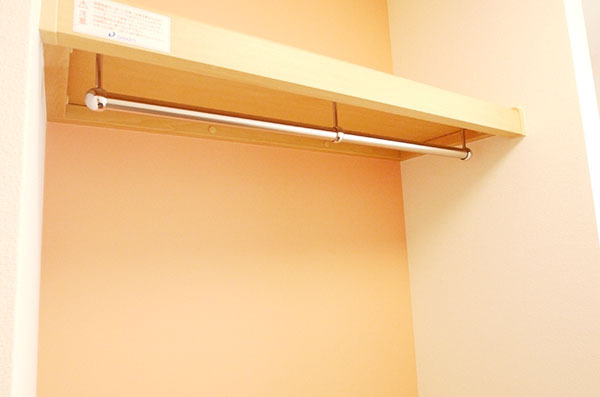 Convenient sling shelf in Room 306. 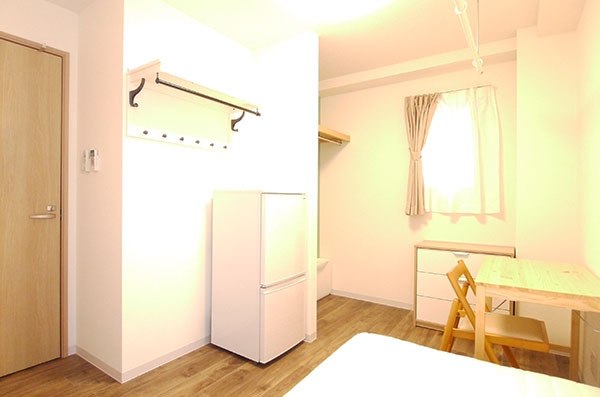 Bright room in Room 402. 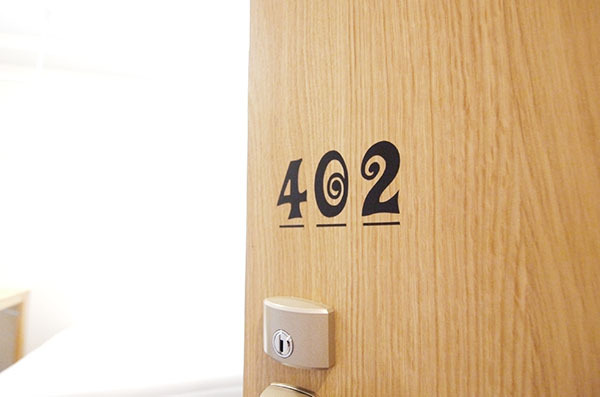 Convenient withdrawal storage of Room 402. 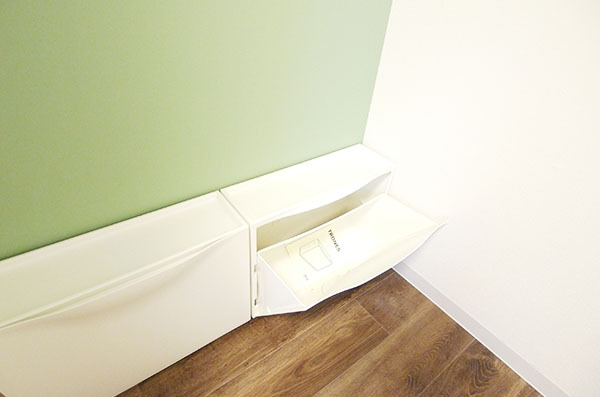 Convenient shoes box at room 402. 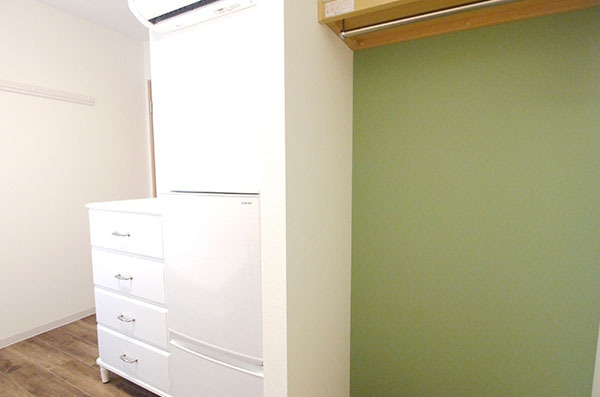 The back of opencloset in room 502 is moss green. 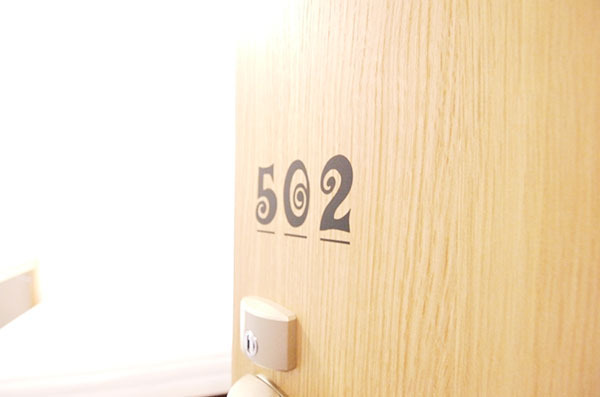 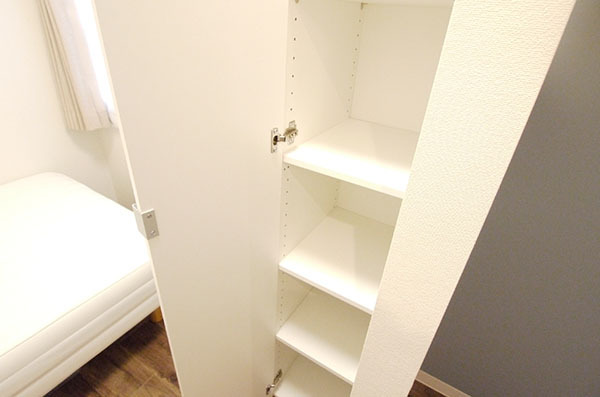 White chest of room 502.